February 4 - Spring track is quickly approaching. As we begin to shut down another successful season, athletes are quickly registering for the spring. "Spring track is a developmental season which allows the kids to try new things in the beginning and hone in on their skills, allowing us to perfect their individual events. In others words, here' where we get ready for championship Summers," says Coach L. We o have some high school kids that have run a full indoor season. They will need a break. Our newcomers will set goals , and focus on achieving them. This is our favorite time of year. See you on the track!! December 15, 2018, we begin our Indoor Track season at the Birmingham Crossplex. As we enter year 9, we are excited about what's to come for East Cobb Cheetahs. With many returning athletes and some new faces, we look forward to producing some great times individually and with our newly formed relays. Fall training will begin Oct. 23rd and our middle school clan is very focused and ready to continue where they left off last the spring and summer. Coaching is more than writing a workout. You find yourself playing the mother/father role in your young athlete's life. How many time have you said, "Skylar, please tie your shoe." Just for her to reply, "I don't know how." Well, ECCTC has been fortunate enough to find the best company on the planet for our little ones. U-Lace is provides laces in multi-colors, that you tie once and never tie again. Don't believe us, then visit U-Lace and see for yourself. Kassie (W7) love them!! Are you interested in running track? Have you noticed that you are the fastest kid on the playground? 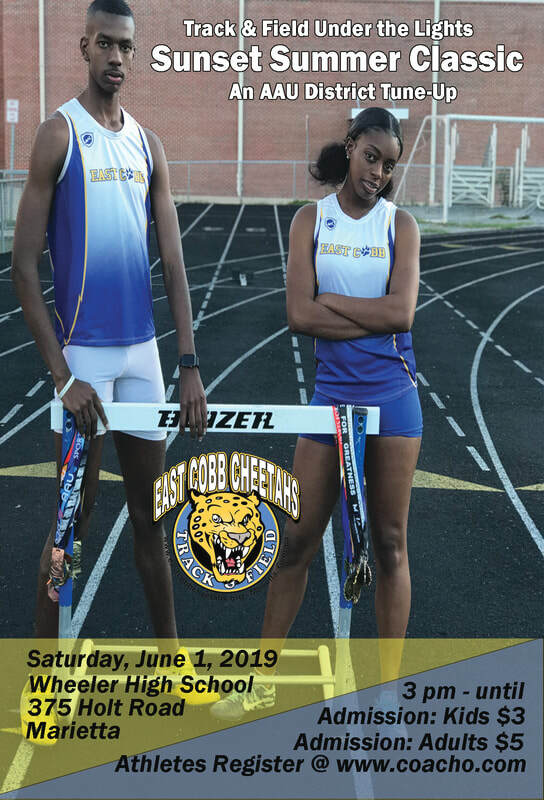 Then join East Cobb Cheetah Track Club and see how you stack up to other kids in the country. Registration for Fall conditioning and Indoor Track begins September 1st. The first day of practice is Monday September 19, 2016. BE THERE!!! Are you looking for a scholarship?